Would you listen to Red Notice again? Why? 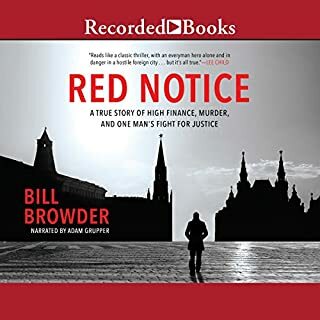 Incredible story of how a young Browder was blindly determined to invest in Russian businesses at the dawn of perestroika, After eventually finding success, the corrupt Russian culture retaliated. What a story! I thoroughly enjoyed the journey that the author guides his reader (listener) through. That journey being the beginnings of mankind (Sapiens) to a point of no return for literal life changing possibilities for sapiens. 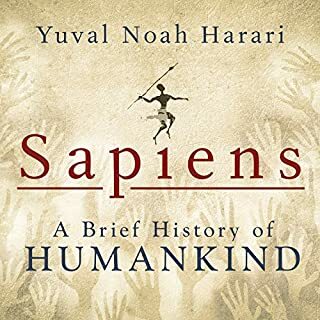 History, psychology and science all merge together in this very intriguing and thought provoking book. Meriwether Lewis discovered far more than the history books tell - ancient civilizations, strange monuments, "nearly white, blue-eyed" Indians, and evidence that the American continent was visited long before the first European settlers arrived. And he was murdered to keep it all secret. 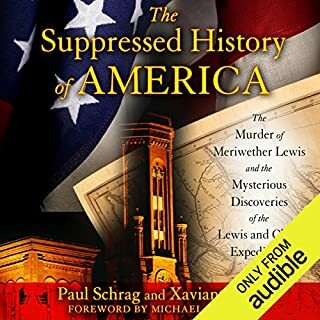 Examining the shadows and cracks between America's official version of history, Xaviant Haze and Paul Schrag propose that the America of old taught in schools is not the America that was discovered by Lewis and Clark and other early explorers. The authors spin out a number of intriguing theories about that cause one to wonder about the origins of Native Americans, and question if there has been a two century long conspiracy of sorts to hide the truth about much of the accepted history of past North American civilizations. Much of the evidence stems from journals and writings of early explorers up to the mission of Lewis and Clark. It would seem that with modern DNA testing can solve some of the mysteries that have yet to be solved. The strange death of Meriwhether Lewis is the highlight of the final chapters. This too raises a number of questions and theories that causes the reader (listener) to wonder how Lewis met his fate. If you're into this kind of stuff, this is a good read. Brown's word paint a vivid picture. I'm a big fan of the works of Daniel James Brown. He makes the human story of this tragic incident come alive in gruesome data. A true story of perseverance and heroism on a scale that many 21st century Americans will find hard to believe. This is the 3rd book in a row that I've read on China. For some it may be helpful to learn more of China's history and culture before jumping into Pillsbury's book. 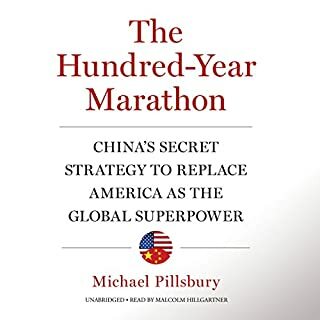 I recommend "The China Mirage" by James Bradley and then "On China" by Henry Kissinger -- both available from Audible. Pillsbury apparently writes from deep experience and admits that some of his past opinions on China's cooperative behavior have now changed. His revelations and warnings are very compelling. 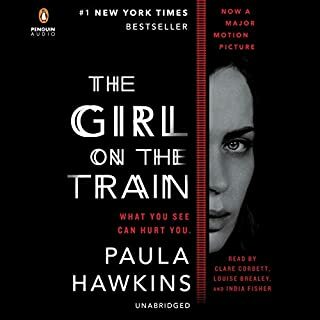 The 3 narrators in the version of the book do a fantastic job of making this a terrific suspenseful story. Highly recommend! Not sure that the movie version can top the performances of the book! 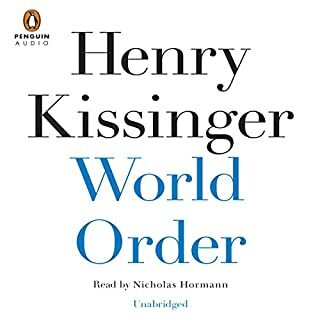 Kissinger provides a terrific correlation between the past of the work of nations to bring order to the power of world forces from centuries ago and the status of affairs today. So good that I'm going to start reading again tomorrow. 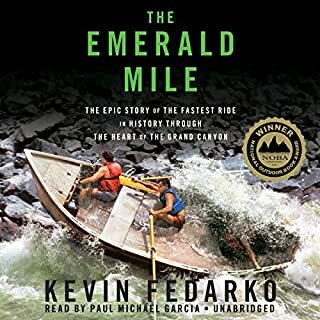 Wonderful true story of an amazing river run. Even for those who have never run Whitewater on the Colorado River, you will find it intriguing. Having had the privilege of riding in a the river in a dory with boatmen Regan and Lou, who are noted "characters" in this book, it becomes even more meaningful as I too reminisce about 17 life changing days I experienced within the depths of the Grand Canyon in 2010. 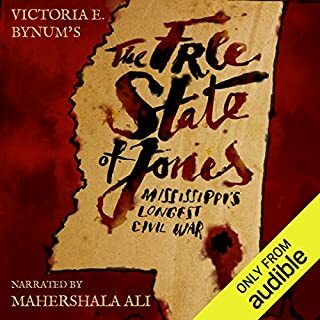 Fascinating story for the Civil War enthusiast, as well as those are interested in the American Civil Rights movement. 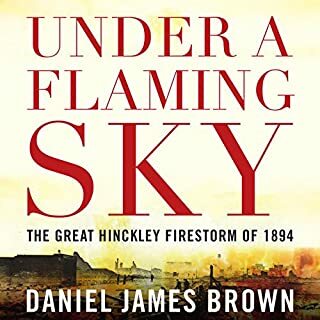 A bit hard to follow via audio as the Knight family tree speeds through the Revolutionary War all the into the mid twentieth century.